I’m sure some of you already know me from Oppo, but I’m new to LaLD, so I figured I’d introduce myself. I’m Brian, I’m 24 and work as a lube tech at a small, Long Island Dodge/Ram dealer. My die cast addiction started when I was young, like most of you I’d imagine, and my preference has always been HW and MBX. I have a fairly sizeable collection I’m looking forward to sharing, and I’m always interested in learning more about the hobby. Here’s a few of my favorites to start things off. The starts and stripes Hot Bird was my first Hot Bird, followed by the gold one, and it’s always been a favorite casting of mine. 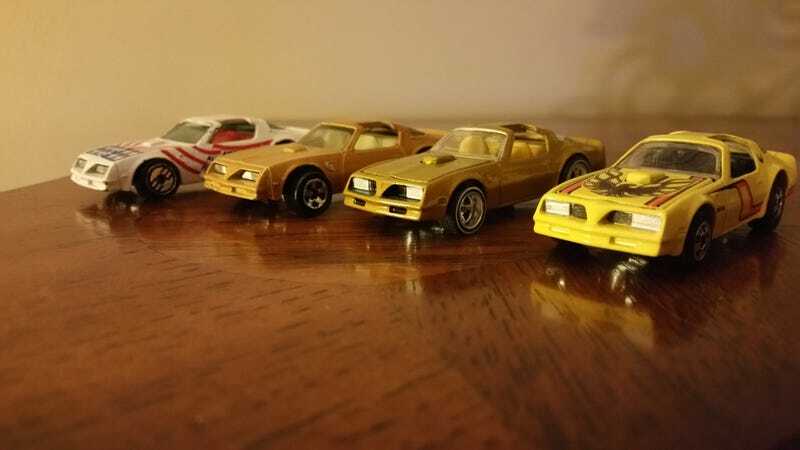 Missing from this pic is one of my Holy Grails, the Retro Entertainment Bandit Trans Am, though that will never leave it’s box.